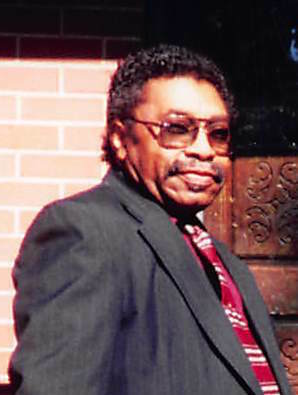 James Odell Wright, of Raleigh, NC departed this life on Sunday, October 14, 2018. Funeral Service: 12:00 PM, Thursday, October 18, 2018 at Lea Funeral Home, 2500 Poole Road, Raleigh, NC. Visitation: 11:30 AM - 12:00 PM, preceding the funeral service at the chapel. Survivors: Wife, Rachel Wright of the home; Daughters, Delle Wright of Wendell, NC and Beth Evans (Carey), both of Raleigh, NC; Son, James Odell Wright, II of Raleigh, NC; Sisters, Bettie Barnes of Wilson, NC, Helen Holland (JT) of Fayetteville, NC, Ozell Bullock (Jerome) of Raleigh, NC, Endrea Cobb of Raleigh, NC; Brothers, Donald Wright (Lula) of Zebulon, NC, Wilvester Wright ( Sevenia) of NY; Anthony Wright (Izonia) of PA, Myron Wright (Teresa) of Garner, NC; 5 Grandchildren; 9 Great-Grandchildren.